​While much of the SLIS curriculum is taught in an online format, many classes are also taught in a traditional classroom, such as Dr. Hermina Anghelescu’s Access to Information class (6120). Students recently had the opportunity to tour the architecturally award-winning Southfield Public Library. 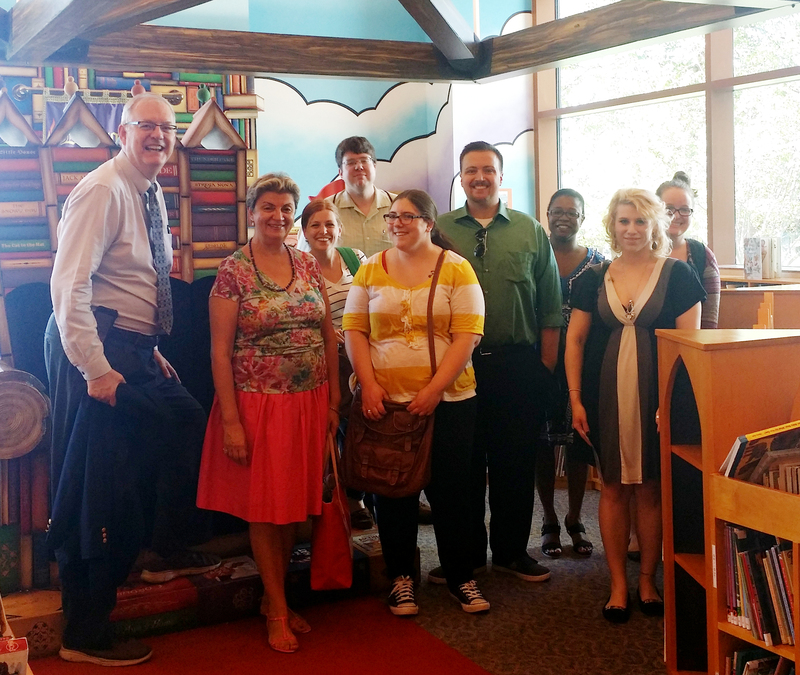 Students are pictured with City Librarian Dave Ewick, who said the library serves a community of 80,000 residents, where 77 percent carry a library card.